Birthplace : Wilmington, Delaware, U.S.
Edward Robinson Squibb was a physician, chemist, and pharmacist who dedicated his career to ensuring that drugs were pure and effective. He became a leader in the struggle for national standards for pharmaceuticals and federal regulation of the industry. Edward Robinson Squibb was born on July 4, 1819 in Wilmington, Delaware to James and Catherine Harrison (Bonsall) Squibb. The family consisted of two sons and three daughters, but all three girls died in one year, followed soon after by their mother in 1831. James Squibb then moved his two boys to Darby, Pennsylvania, near Philadelphia, to be closer to his relatives. A few years later, Squibb's father suffered a debilitating stroke. Squibb and his brother were then raised by both of their grandmothers. As a young boy, Squibb was educated by a tutor. When he was 18 years old he moved to Philadelphia and decided to go to medical school. To offset his educational expenses, Squibb worked part-time as an apprentice to Warder Morris, a pharmacist, and later worked for the pharmaceutical company J.H. Sprague. In 1841 Squibb attended Jefferson Medical College, where he graduated three years later at the age of 26. Upon graduation the college employed him as a clerk of clinics, assistant demonstrator of anatomy, and curator of the medical museum. Squibb also began to establish a private practice. During this time the United States was involved in the Mexican War and many young men, including Squibb's colleagues at the medical college, were enlisting in the armed forces. Because Squibb was a Quaker, and therefore a pacifist, whether or not to join his friends was not an easy decision to make. He decided to enlist. On April 26, 1947 he was assigned to the navy as an assistant surgeon. This decision cost him his association with the Quakers, but it would prove to be a pivotal point in his life, one which shaped the rest of his career. Squibb spent four years as a medical officer aboard the Perry, the Erie, and the Cumberland in Mexican and South American waters and the Mediterranean. During his time at sea Squibb was dismayed that the navy used poor quality drugs. In fact, he often took drastic measures to improve the quality of care he gave. For example, in Doctor Squibb: The Life and Times of a Rugged Idealist, Lawrence G. Blochman wrote that "In overhauling the Cumberland's dispensary, Dr. Squibb threw overboard great quantities of medicines he considered unfit for human consumption." Upon finishing his last voyage, Squibb compiled a report of his complaints regarding the hygiene and medical conditions he witnessed and supported his claims with detailed health records that he had kept throughout his assignment. Squibb sent his report to the American Journal of the Medical Sciences. It was published in January 1852, to ensure that the medical community was aware of the problems. After a brief leave from sea, which Squibb spent brushing up on the latest medical advances at Jefferson Medical College, Squibb was ordered to return to sea aboard the steamship Fulton . He was unhappy about returning to sea under the poor medical conditions of the navy and managed to get reassigned to the Brooklyn Naval Hospital. Squibb intended to use this opportunity to improve the quality of drugs used by the navy. According to Lawrence G. Blochman in Doctor Squibb: The Life and Times of a Rugged Idealist, Squibb and his colleague at the hospital, Benjamin Franklin Bache, "were resolved that the Brooklyn Naval Hospital, at least, and if possible the shops it supplied, would have chemically pure drugs of standard strength." While working at the naval hospital, Squibb met Caroline Lownds Cook, Bache's sister-in-law. The two were married on October 7, 1852 and had their first child, Edward, the following year. Their second son Charles was born on June 16, 1858, followed by a daughter, Mary, in 1864. The couple had one more son in 1867, who did not survive infancy. Before the birth of their last child, Caroline Squibb was diagnosed with epilepsy. The personal tragedies of her illness and their child's death made Squibb even more passionate about his work. Squibb worked to improve the equipment at the hospital as well as the quality of drugs produced. His major accomplishment at this time was developing a new method to distill ether to improve its purity. Squibb designed a still that operated with steam rather than an open flame. Instead of getting a patent for the design, Squibb published detailed diagrams in the September 1856 issue of the American Journal of Pharmacy, for he believed that scientific knowledge should be shared. While working at the naval laboratory, Squibb perfected the manufacture of chloroform, fluid extracts, bismuth salts, calcium chloride, benzoic acid, and many other drugs. In 1857 Squibb resigned from the navy for economic and personal reasons and went into private industry. His first job was a one-year contract at the Louisville Chemical Works in Kentucky. Once he finished this obligation, Squibb opened his own laboratory. Colonel Richard S. Satterlee of the Army Medical Corps proposed that if he could finance his own laboratory, the army would send its pharmaceutical orders to him. On September 6, 1858 Squibb established his own pharmaceutical laboratory in Brooklyn and called it E.R. Squibb, M.D. Financial backing for the project came primarily from Dr. Sam White, a former colleague from Jefferson Medical College. He received additional funds from his brothers-in-law. The laboratory had barely gotten started when disaster struck. On December 29, 1858 Squibb's helper had accidentally caused an explosion with either. The fire destroyed the new laboratory and Squibb was severely burned while trying to salvage his books and scientific notes. During his recovery Squibb was already planning to rebuild the laboratory. Friends and colleagues from the community were raising funds for him to do so. On April 13, 1859 Squibb was presented with over $2,000 to rebuild his business. While the money was given as a gift, Squibb treated it as a loan and expected to repay the sum plus interest. By May 1859 Squibb was back in business with his new laboratory. The company took off quickly as the Civil War in 1861 brought much military business as promised. By the end of 1861 Squibb was able to pay off the loan he received from the community. During this time Squibb began the crusade that would consume the rest of his life: to regulate the import, manufacture, and sale of drugs in America in order to ensure their purity and strength. To this end he became a member of the 1860 Committee for Revision of the United States Pharmacopoeia, the registry of approved drugs, including their identification, tests, and standard formulas. Squibb had finished building a new, larger facility when the Civil War ended and his business began to decline. He suffered some financial difficulties because of this, but was still able to make ends meet. While he found extra work as a professor of pharmacy in the New York College of Pharmacy from 1869-1871, he worked for free because of the college's limited finances. Another setback came when his new laboratory experienced a fire in 1871. However, this time only part of the lab was destroyed and Squibb was not injured again. The year was not a complete disaster for Squibb since he also struck a business relationship with National Chemical Wood Treatment in order to create a process for distilling acetic acid from wood. For the next two decades Squibb continued his crusade against impure drugs. He lobbied unsuccessfully for the American Medical Association to control the Pharmacopoeia. Instead the pharmaceutical publication remained under the control of the Pharmacopoeia Convention that consisted of companies with patented drugs and therefore created a conflict of interest. In 1879 he saw to the passage of a pure food and drug bill in New York, but the national bill proposed to Congress in 1881 did not pass. The federal bill was not approved until 1906, six years after Squibb's death. One of the greatest supporters of the bill was Harvey W. Wiley, who was an associate of Squibb. Throughout his career Squibb refused to patent his products for the sake of the scientific community. Despite this and the fact that he advertised primarily by word of mouth, Squibb had established a very prosperous business by the 1880s. By 1883 his company was producing over 300 drugs and distributing them worldwide. Aside from his many improvements with pharmaceuticals, Squibb also invented important equipment for his work, such as an automatic zero burette, a general apparatus stand, and a specific gravity apparatus. In 1882 Squibb started a journal called An Ephemeris of the Materia Medica, Pharmacy, Therapeutics, and Collateral Information, in which he published his own research as well as other advances in the pharmaceutical industry. He felt the need for a publication that would be updated more often than the Pharmacopoeia so that doctors and pharmacists could read about the most recent discoveries as they happened. His journal preceded the Journal of the American Medical Association by six years. He continued to produce the journal every two months until his death. Throughout his career Squibb was active in the professional community. He held memberships in the American Pharmaceutical Association, American Medical Association, American Philosophical Society, and American Association for the Advancement of Science, among others. 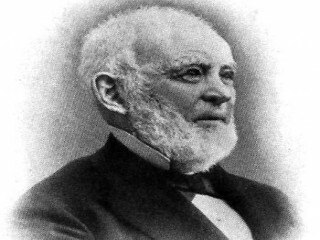 He was also the first vice-president of the American Pharmaceutical Association from 1858 to 1859. In 1892 Squibb made his two sons partners in his half-million dollar company and changed the name to E.R. Squibb and Sons. Squibb officially retired in 1895, although he continued to work in his lab and publish his journal. He died on October 25, 1900 at his home in Brooklyn, New York.